there are many reasons to come to Jamaica. Except for a short hurricane season, the weather in Jamaica is beautiful all year. This makes the island very attractive to people who want to enjoy some local activities such as kayaking, fishing, diving, mountain biking, and swimming with dolphins. To fully experience the Jamaican culture must try food from Jamaica. Jamaica’s food is a combination of Caribbean dishes mixed with local dishes. Although most of Jamaica’s food has a reputation for being hot, the locals tend to eat a more versatile range of food. The national dish is ackee and salt fish, and should be tested for travelers seeking a unique experience of Jamaica. These delicious dishes are made with local fruit called ackee, which is similar to scrambled eggs and has a unique flavor, it also adds dried codfish mixed with tomatoes and onions. You probably will not have the opportunity to try this food anywhere else, so do not forget to try this delicious dish of Jamaica. 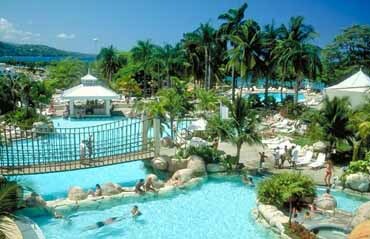 Besides the beautiful beaches, there are many other things to see in Jamaica. Do not miss Shaw Park Botanical Gardens, where a collection of exotic flora located in Ocho Rios Caribbean. For a historical perspective on Jamaica, visit the Columbus Park, a park in honor of the arrival in 1494 of Christopher Columbus. And if you’re a fan of reggae and Bob Marley, visit Nine Mile, a picturesque village in the beautiful mountains of St. Ann, Jamaica, where Bob grew and developed his inspiration for his music. So if you are looking for a vacation with a beautiful sun, quiet people and white sand beaches, visit Jamaica.